I love telling the story about how – how many years ago was it? – Beth and I were sitting there on the floor of a friend’s house and I asked “So, what’cha been up to since I last saw you 20 years ago?” And she said “I’ve been working at the South Pole.” And how I, goggle-eyed and gobsmacked, asked what that was like, and she smiled a knowing smile and said “magnificent desolation”. And how, hours of stories later, I kind of knew that I had to go. And I love telling how, when I (improbably) managed to get the coveted the South Pole posting a year later, I panicked. What the hell was I thinking? It was the South Freakin Pole. Of the world. And I was a pampered little Silicon Valley dilettante. By now, if you’ve been following this blog, you know that once the Ice gets under your skin, it’s pretty hard to get out of your system. Worse, it turns you into a carrier: you start talking about it with everyone, trying to pass this virus on, trying to root out others who may unknowingly carry whatever memetic susceptibility it was that hooked you in the first place. One more question: what the hell are you thinking? Don’t you know it’s insanely cold down there? Yeah. I dunno. Maybe it’s a tribal thing. Maybe it’s like in Close Encounters, where a random group of people got flashed with a brilliant light and found themselves drawn to northern Wyoming (which is also cold and desolate, but with substantially more mosquitoes in the summer. I hate mosquitoes). There just seem to to be some people who are drawn to the Pole. And the more of them I meet, the more they feel like kindred spirits. So, I figure I’ve got to go find out for myself. Anyhow. 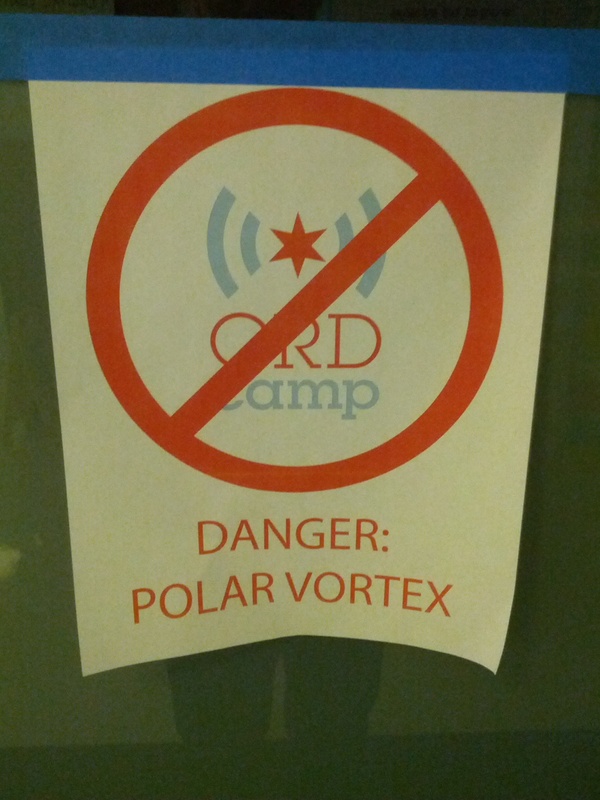 Back in January of this year, I found myself at ORDCamp, a crazy-fun-overwhelming gathering of engineers, artists, and all-around makerfolks, and of course I was talking about Antarctica to everyone I could. I found myself sitting in a quiet corner with this brilliant kid named Jeremy who built data acquisition systems for optimizing NASCAR runs, giving him the “magnificent desolation” talk, and I remember him looking as goggle-eyed as I was five years ago. Yeah, he sounded like he was one of the tribe, and I encouraged him to apply. Just got a lovely note from him saying he’s deploying tomorrow: Christchurch, McMurdo and – once they’ve got him properly oriented and trained up – on to the South Freakin Pole. Of the World.